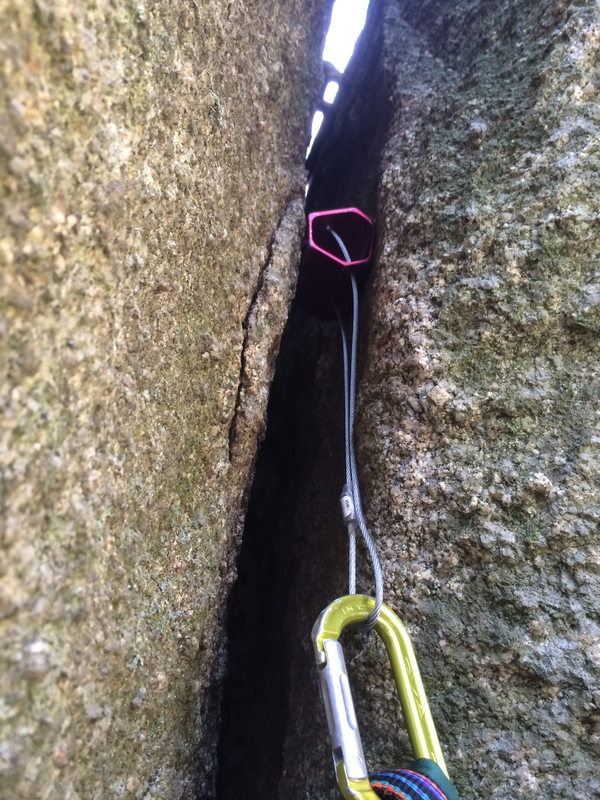 Took me about an hour to solve the start of this aid climb, ended up with a sling-opposed-hook arrangement that was pretty scary. It did surprise me however when it held a fall as the piece above blew out; ended upside-down just above the ground! I got to use my home made “rivet hanger” as they are called in the US. There are dynobolts in the wall but the nut and hanger have been nicked. The bolts seem OK so I’ll go back and install permanent hangers. Fell in love with hexes again as they formed the pro in the back of the off-width as I leapfrogged my two big cams up with the ladders. Ended with a sling over flake and a few hook moves. Good session in retrospect, hook moves, opposed gear, used my tomahawk for one key move, and quite a few falls as gear blew out of friable granite. It did take me about 5 hours and I’d forgotten my water bottle (practicing big wall dehydration! ); wont tell you how high the climb is! Very happy to get to the top. 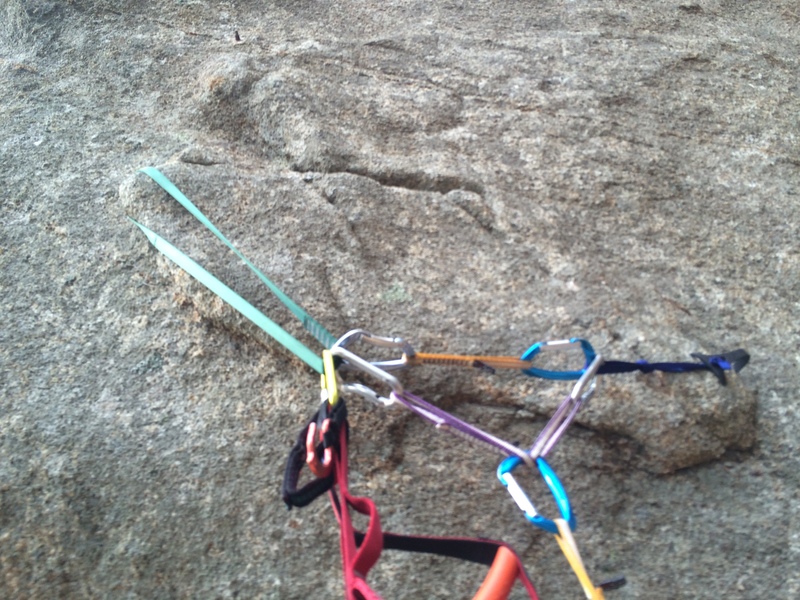 The climb was a direct version of Stone Cold Bush at Dog Rock, Mt Alexander – opting for the off-width rather than the slab finish. Anyway good training in good weather; I need to get my act together for a trip in spring. 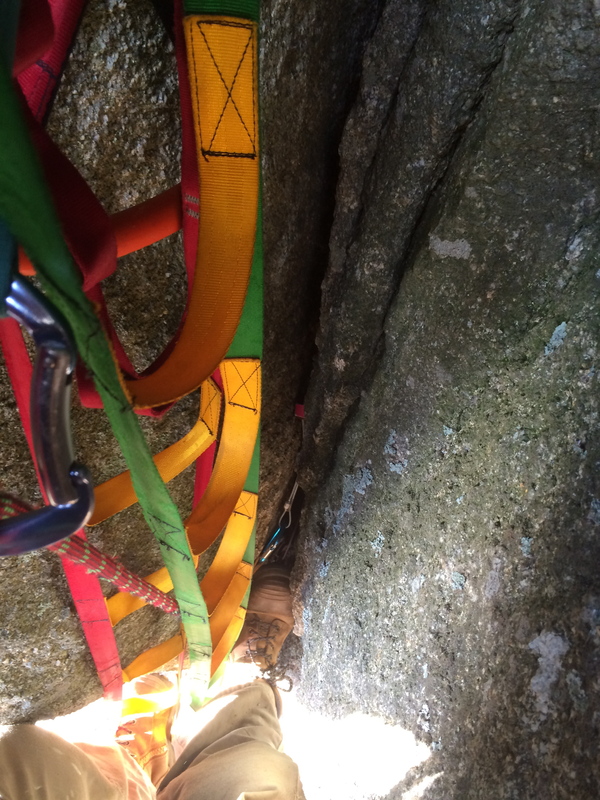 Self belay on two clove hitches, adds to my slowness! 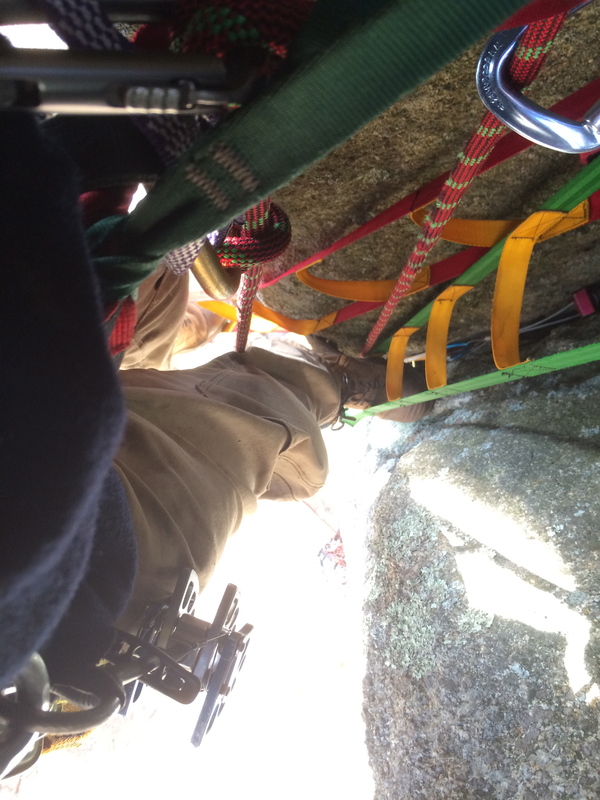 Off-widths and aid ladders go together like… well they just don’t. As difficult as off-widhts are it’s kind of cosy in there. The opposite of exposure! Very glad to get to the top. Love the opposed & equalised sling/hook placement. 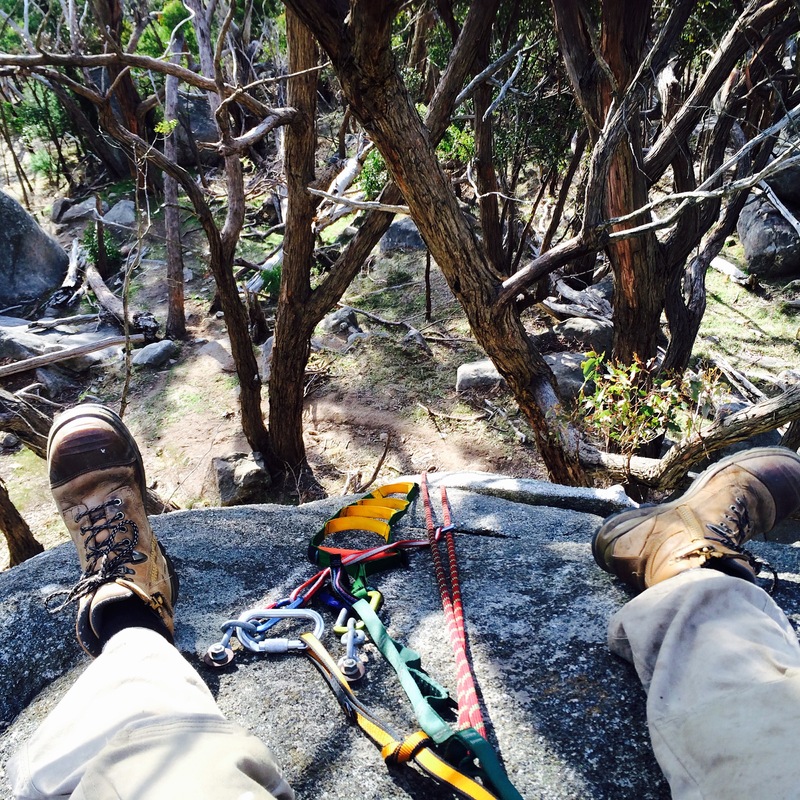 They also work well on trad adventure routes for protection and directionals. Another trick is to use bungy cord on the hook placement to keep it in place by tension, though if equalised as pro it still requires a proper sling backup. Yeah took me ages to figure that one out, including hook blow-outs & a few falls. I almost went home at one point! Now bungee cord there’s a handy option, will have to get some for my aid rack. Ace advice from an Aid Guru! Hey M9 great tips, how’d you like to publish more here? 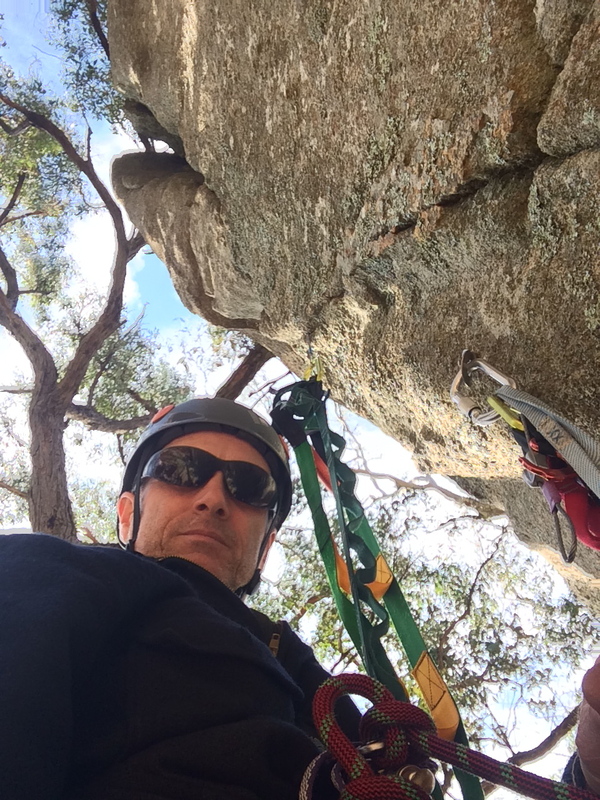 It’d be great to have guest posts from very experienced climbers. A few words & a photo if you had any, each post focusing on one technique or bit of gear.